The Bermuda U-20 World Cup team has completed the quarter-final round of the Caribbean Football Union U20 World Cup Qualifiers, and advanced to the semi-finals of the CFU U-20 Championships and also qualified for the CONCACAF U-20 Championships that will be held in Costa Rica in 2017. “The team opened the tournament with a 3-1 victory over St. Kitts and Nevis and followed up that performance with a hard fought 1-1 draw with hosts Curacao,” the BFA said. “In the third and final group game Bermuda lost 3-2 after being down 3-0 and hopes of advancing fading fast. 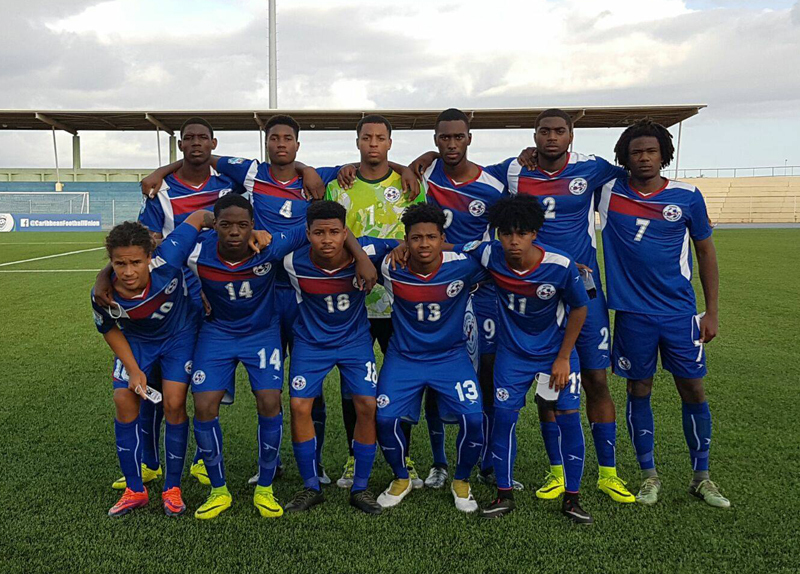 With grit and determination they clawed their way back with 2 goals and advance to the semi-finals of the CFU U-20 Championships via a superior goal difference than St. Kitts & Nevis. Team Captain Kacy Butterfield, who is currently under contract with Walsall Football Club in the UK, said: “My team and I are very ecstatic that we have made it to the third round of qualifying for the U-20 CFU championships. “I believe that it was a tough run for us but at the end of the day we did what was needed to qualify. It was a strong team even though we didn’t have all the players due to difficulties of colleges unwilling to let them go. “For a team based mostly of overseas players and hadn’t trained much together, we still managed to fight as one and find a way to win and ignore the rumors of us being the weakest team in the group. Technical Development Director Maurice Lowe said: “We have achieved the monumental milestone of advancing to the final stage of the CFU Championships. It is an accomplishment that the entire country can be proud of. “One of the strategic goals of the Bermuda Football Association is to advance to the final stages of regional tournaments and I would like to thank the National Academy Staff and players that are both present and unavailable, the BFA Executive Council and Office Staff . Well done lads, all the best in Costa Rica! !